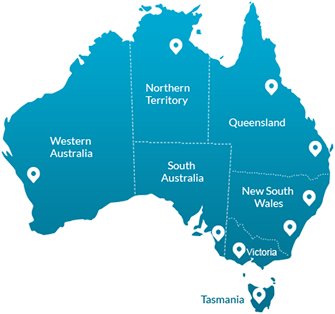 Testel Test and Tag Western Australia is a quality service provider of electrical safety testing throughout the metro, regional and rural areas of WA. Not identifying electrical issues before they arise can cost lives and property. Our Testel Test and Tag Perth licensed electrician technicians provide the widest range of quality electrical testing services. From power outlets testing to portable appliance testing, emergency light testing to exit light testing, we also conduct thermal imaging, repair faulty items, prepare site plans, tag, record and provide reporting. Currently managing more than 3,000,000 electrical testing records in our TES database across Australia, Testel Test and Tag Western Australia are highly experienced in ensuring efficient record keeping and quality reporting. This innovative system allows those companies who have had items tested to look up the outcomes, information and create reports at any time they wish. There is no need to contact us to do this. Clients are also able to modify and add specific type of item details into our system to ensure they are on top of all their electrical safety obligations and processes. Electrical safety testing, however, is not just the concern of the industrial workshop. Many types of businesses come to the Testel Test and Tag Perth branch each year to get help with their electrical safety concerns. For example, hospitals and IT office environments. Not to mention the home environment. In fact, electrical testing is for any location that wants to put safety, OHS compliance and product efficiency at the fore. Despite electrical equipment in the home not being used as much in the commercial environment, there is a still a need to test periodically. At Testel Test and Tag Western Australia, we test electrical equipment to ensure all people in the household are protected from harm due to electrical shock and that the home is safe from electrical fire due to faulty wiring and / or appliances. Whether you require electrical testing for your workplace or home, a technician from the Testel Test and Tag Perth branch or rural area can provide it. To enquire today, please contact us on 1300 881 116 or email us.